As part of its commitment to research, care, and interpret art from the Hirshhorn collection, the conservation department is undertaking an in-depth study of Robert Rauschenberg’s Fossil for Bob Morris (1965), supported by a generous Bank of America Art Conservation Project grant. 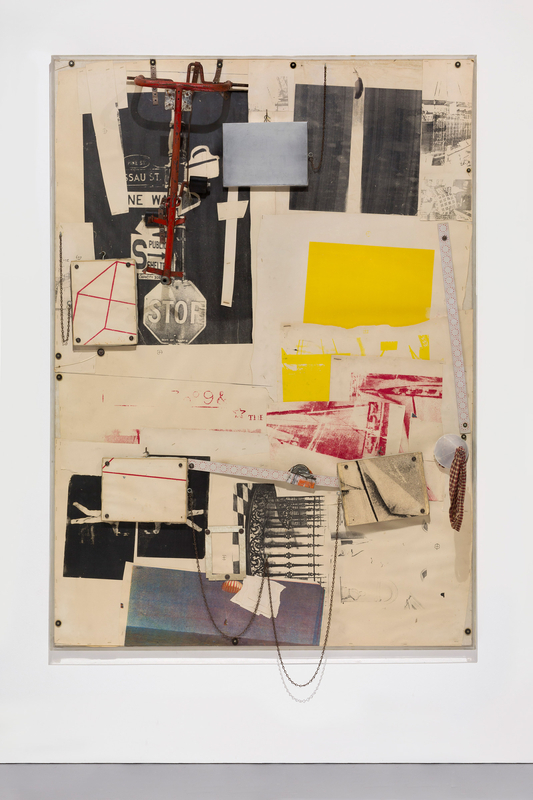 This important work, displayed in the Museum’s inaugural exhibition and a critical component of the collection thereafter, is a quintessential example of Rauschenberg’s approach to artmaking. In the spirit of the artist’s work, this endeavor will be collaborative and draw on conservation expertise across disciplines and institutions. The investigation will build on both academic and scientific research as it engages with the work’s complex materials, history, and context of production to establish its conservation needs and ensure it continues to express the artist’s original creative vision. Our work will add to existing scholarship about the work of the artist as well as contribute to the ongoing discussion about varied approaches to the conservation of complex works of contemporary art. Updates about this project will be shared on this page and through social media on a periodic basis. Join us as we take a closer look at Robert Rauschenberg’s Fossil for Bob Morris. Funding for the conservation of Robert Rauschenberg’s Fossil for Bob Morris (1965) was generously provided through a grant from the Bank of America Art Conservation Project.